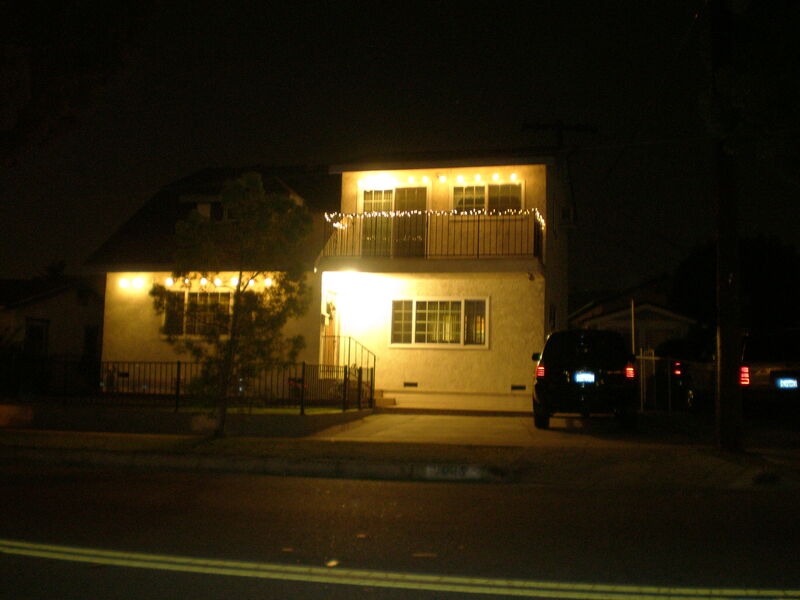 2007 December archive | YORK BLVD. YORK BLVD. Christmas Light Contest! 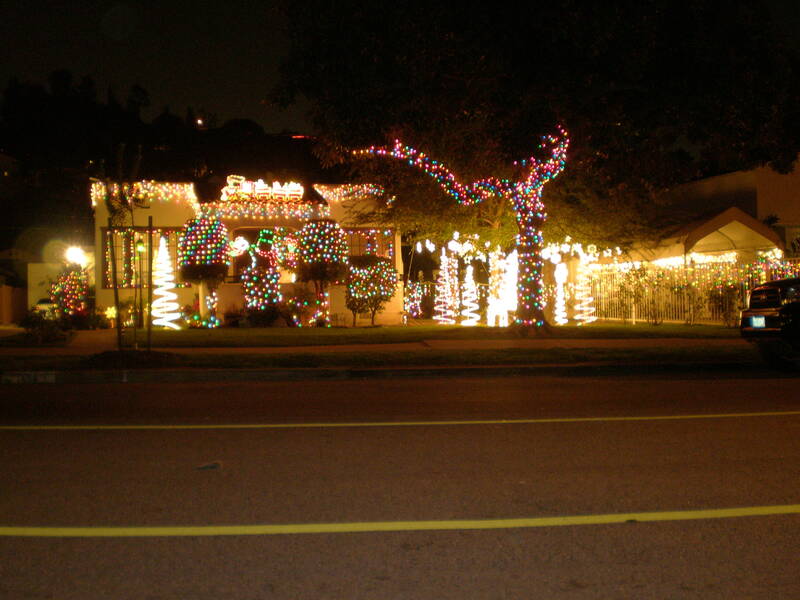 Lights need to be from the general area of Northeast Los Angeles. We can be pretty flexible as to the exact boundaries this constitutes, but if you send us a Brentwood Mansion, you might be exposing yourself to Westside ridicule. Include a caption describing the location and the lights themselves. Make sure you give us a valid email address so we know how to notify you when your photos are published. Maybe the Grinch stole the rest. You know…the ones with any color. Sitting quietly under an unassuming “cocktails” sign on the corner of Verdugo and Avenue 34 is Glassell Park’s newest attraction. The Verdugo is a surprisingly hip joint that seems as if it plucked straight from Hollywood—and this time I think I mean that as a good thing. “Unassuming” may have actually been something of an understatement. At 10:30 on a Saturday night, the surrounding streets were dark and abandoned. 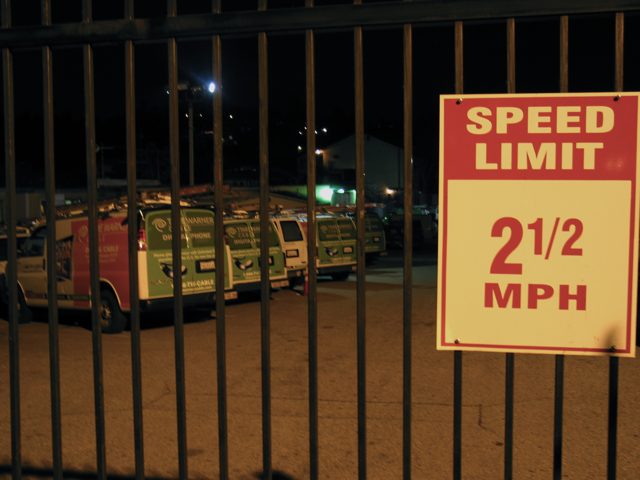 Nearby warehouses and empty lots surrounded by chain-link fence do nothing to give away what is lurking behind the small door under the afore mentioned sign. Stepping through reveals a stunning space filled with a smoothly lit curved bar, plasma screens (showing the hipster classic “2001: A Space Odyssey”), black booths and a definitively cool lounge in the back. Dreadlocks seemed to be the style of the evening for patrons, who all sat drinking beer and enjoying the fairly loud beats being mixed by the live DJ (who was sitting in a booth overlooking the bar). This is definitely a bar with a vibe. Behind the counter is your standard full bar, but also an excellent selection of high-quality beers. The Verdugo takes its place among the very few bars that are willing to dedicate a tap to Delirium Tremens, one of the finest, richest beers Belgium has ever produced—and is incidentally a beer that is named after the symptoms of severe withdrawal from alcohol abuse. Naturally this is the first beer we drank. The service was fast and kind, but unfortunately the girls behind the counter knew nothing of the beers they were serving and quickly suggested taking a look at the menu for more information. A conversation with the Verdugo’s friendly proprietor revealed that these were not his normal bartenders, but rather a couple girls filling in and this was in fact their first night. Clearly the solution in a situation such as this is to simply order as many beers as possible and decide for oneself—a strategy that allowed me to discover that none of us at YORK BLVD. are fans of Fuller’s London Pride. Another bit of confusion surrounding the Verdugo is their schedule, and unfortunately we were not able to get to the bottom of this in our visit. Even a loyal reader here posted “I thought Verdugo’s was still closed?” Like an on-again-off-again girlfriend, nobody seems to know that exactly is going on over there. The bar reportedly opened a few months ago, but Citysearch currently lists them as “Temporarily Closed.” One very upset reviewer on Yelp posted an angry comment about going there on a Saturday night and finding no signs of life. And for a place as hip as it was, it sure seemed as though the word wasn’t out about being open. Instead of people packing in around midnight, the place quieted down. So get the word out. The Verdugo is open. It’s a definite change of pace from the other local bars, and something that may appeal to those that think the York is too laid back or Johnny’s is too much of a dive. Over the last 3 weeks I have been struggling, begging, and pleading to get Time Warner’s “easy” digital phone service. If you’re not familiar, it allows you to get phone service through your internet connection, providing unlimited long distance and a much cheaper price. Sounds nice. Unfortunately, after three weeks, Time Warner has been unable to deliver the equipment (despite two tries, eventually forcing me to go to our local office on Eagle Rock Blvd. to pick it up) and then failed even more miserably at setting it up. I have spent countless hours on the phone talking to person after person, none of whom can figure out what to do, but each promising the next can. Finally I gave up. A broken, defeated man, I called one more time to cancel my service altogether. At the very moment I am on hold. In fact, I have been sitting here for well over an hour and a half (currently 110 minutes and 46 seconds, to be exact), I have talked to 6 different people in at least 2 countries and been on hold for approximately 90% of that time. All the while watching my cellular minutes dwindle. Every attempt to cancel the service results in the operator making more false promises of being able to fix the problem if I’ll hold just a few more minutes. I’m convinced people haven’t been waiting this long for the second coming of Christ, and I assure you, getting a working cable connection would be more miraculous. So what’s my point? Is this just an angry rant? Well, mostly. But I would also strongly advise anyone considering Time Warner to just skip it. It has been nothing but headache after headache and I’m sure I’m not alone. During my not-so-brief visit to the home office (yes, that too sucked away an hour of my life) I heard nearly a dozen people come in and complain about very similar problems. And judging by the constant long hold times, it sure seems as if there are a lot of angry callers. But of course, if you really want cable, you have no choice. And again, there in lies the trouble. 2 hours and counting, no help yet.